The definition of “flash in the pan” is “Something that has a showy beginning, but fails to deliver anything of value.” That’s how you might describe extrusion blow molding flash—the plastic left outside the body of a new container after blow molding. Flash is important to the container during molding in ways described below, then it’s discarded. Blow molding flash may not have much value to a container being molded, but it’s not possible to accomplish extrusion blow molding without it. 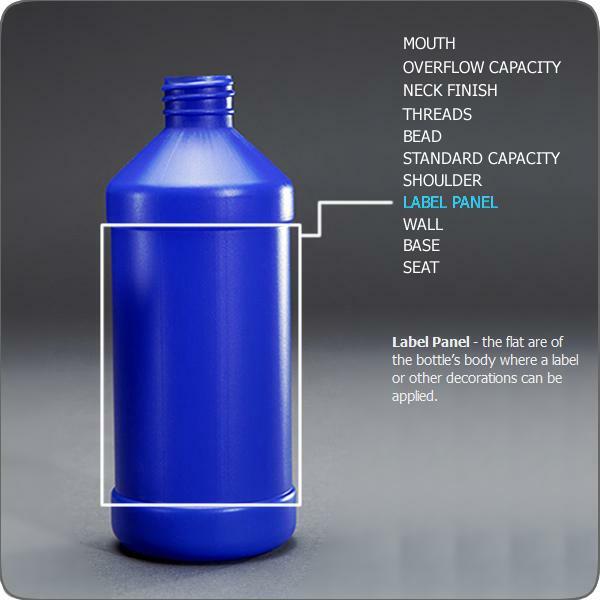 The way flash is handled affects the quality of a finished container. Extrusion blow molding has its beginnings in glass blowing. A hollow tube of warm plastic called a parison is extruded between the two sides of a mold. The molds are closed carefully around the parison at engineered speeds to coordinate with the type of plastic material being molded and other aspects of the material and design. After the two sides of the mold are torqued together, the top and bottom of the parison are trimmed off, then the cavity of the mold is filled with air or another gas. The pressure of the gas presses the walls of the parison outward into the nooks and crannies of the mold. At the bottom, the mold pinches the parison together, and with the proper amount of pressure and a little excess plastic the seam at the bottom of the container or part is welded together. Extrusion molding always produces excess plastic at the bottom and top of the mold, where the pressure and design of the mold dictates how much unneeded plastic in the parison is squeezed away from the body of the container. The excess plastic flows into flash pockets where it cools at a rate similar to the container body, so it can easily be removed from the mold with the part. It might seem as though extrusion molded flash is just a throwaway aspect of the molding process. 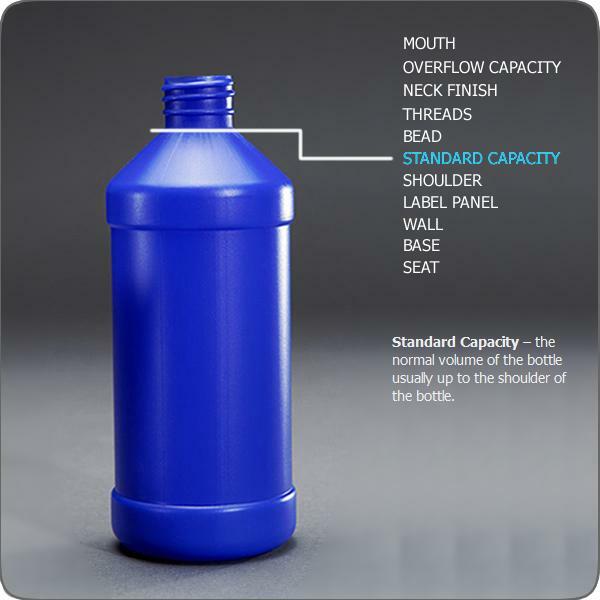 However, the way flash is engineered is critical to maintaining the integrity of the molded container or part. Here are a few of the things that can go wrong: • The flash pocket doesn’t fill up enough, so there is too little pressure pushing plastic back toward the container to weld the pinch-off seam properly. This is characterized by a “v” notch at the pinch-off, which indicates a weak bond where the seam will probably split. • The flash pocket is not big enough to hold all flash material, which produces too much pressure back toward the container. This causes a thick bump of plastic at the pinch-off. Depending on the properties of the plastic, cooling speed and other processing factors, this extra thickness might cool at a different rate, displace volume, and potentially crack. • If processing conditions or mold pinch-off geometry are not correct for any reason, it can negatively affect the integrity of the parison bond at the pinch-off land, where edges of the two molds come together. • Flash is removed manually or mechanically after molding. 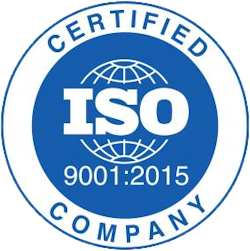 It must be handled carefully or containers/parts can be damaged, as with any post-molding process. • Flash can have an impact on both appearance and functionality of a plastic container or part. Ragged or excessive flash is not visually appealing. 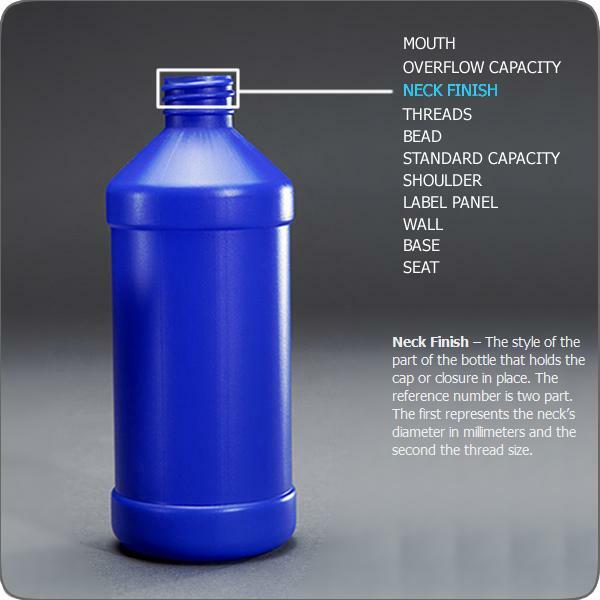 Too much flash around the neck of a bottle can hinder proper operation of the lid or closure. A number of adjustments can be made to fix flash and pinch-off problems. It’s mostly science—and a little bit of an art. • Pay special attention to pinch-off land areas on molds to ensure a proper gap. Too little gap and flash can fall into the molding assembly when the part is removed from the mold. Too much of a gap, and it will be difficult to trim and won’t look good. Check molds periodically to make sure the pinch-off land is in good shape. 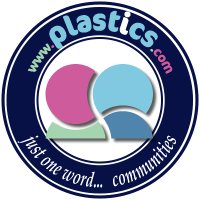 • Changing parison thickness and mold closing-speed helps adjust the amount of plastic being pressed back into the container. • Changing parison viscosity adjusts how much material will flow back toward the container. • Control the duration and pressure at which air blows into the mold. Make sure the process provides proper venting. • Test different flash pocket shapes. Adding dams or channels changes the rate at which plastic is pushed back toward the container and also affects the cooling rate. Many other adjustments can be made to the design and process of an extrusion molded plastic part to improve quality. The flash, it seems, is not just a flash in the pan. It’s a very important part of creating plastic containers. APEX Plastics is dedicated to manufacturing high quality blow-molded plastic products, providing timely deliveries and creating an atmosphere of continuous improvements where all employees strive to keep both internal and external customers satisfied. We can create your product to your wishes. Call 1-800-467-4640 or email [email protected] for more information.